Home-grown talent was very much the order of the day at this year's Paris Air Show at Le Bourget, with European defence suppliers showcasing aircraft, helicopters, UAVs, payloads and missile defence systems. With all eyes on the skies and a minimal American presence to compete, what technology could be changing the face of future military aviation? The manoeuvrability of the Airbus A400M tactical airlifter belies its payload capacity. Image courtesy of EADS. Thales announced the first A400M full flight simulator has received qualification for training. Image courtesy of Thales. The Sukhoi Su-35 has additional thrust delivered by new 17S engines developed by NPO Saturn Research and Production Association. Image courtesy of Sukhoi Aviation Holding Company. Having been deployed in Mali and Libya, the Dassault Rafale showcased theatre-proven performance. Image courtesy of Dassault Aviation. AgustaWestland's all-electric Project Zero tiltrotor demonstrator has figure-of-eight shaped wings with a tilting propeller built into each. Image courtesy of AgustaWestland. The Piaggio Aero P.1HH HammerHead maritime surveillance demonstrator is the largest MALE UAS in Europe. Cassidian's new-generation TANAN 300 diesel-powered compact VTOL Tactical UAS for maritime and land missions offers impressive 180km range and eight-hour flight time with a 50kg payload. Image courtesy of Cassisian. The Paris Air Show at Le Bourget is known for its focus on passenger aircraft, and if you read the hype surrounding the appearance of Airbus’s A350-900 extra wide body (XWB) jetliner you could be forgiven for believing it was the show’s star turn, rather than a surprise fly-past. But behind the chequebook-flourishing airlines, a minor military revolution was underway with jet fighters jostling for international big-bucks tenders, unmanned aircraft demonstrating unprecedented functionality and survivability, and cross-border agreements paving the way for military and civil aircraft and UAS to share airspace harmoniously. Having first flown in 2009, the gargantuan A400M isn’t technically new, but Airbus Military’s juggernaut of the skies never fails to impress as it thunders overhead with the unexpected elegance of Disney’s Fantasia ballerina hippos. "The gargantuan A400M isn’t technically new, but Airbus Military’s juggernaut of the skies never fails to impress." Designed as a tactical airlifter with strategic offering a 340m³, 37t payload, the aircraft missed its second quarter delivery deadline, but could take part in the Bastille Day fly-past. Behind the scenes, Thales announced the first A400M full flight simulator has received qualification for training. Also displaying agility beyond its strength and size was Russia’s multirole fighter, the Sukhoi Su-35, now even more super-manoeuvrable thanks to the additional thrust supplied by new 17S engines developed by NPO Saturn Research and Production Association. Not to be upstaged, France’s own Dassault Rafale, currently aiming to conclude negotiations for a 126-unit deal with India before year-end, added airshow niftiness to its theatre-proven performance in Mali and Libya. From further afield, Brazil’s Embraer unveiled its Super Tucano light attack aircraft at the event, displaying the classic lines of one of the two turboprops to be delivered to Mauritania in the static park. It may not have immediate defence applications, but military favourite AgustaWestland’s all-electric Project Zero tiltrotor certainly has revolutionary potential. The one-man lithium battery powered aircraft has figure-of-eight shaped wings with a tilting propeller built into each to enable vertical take-off then to power the space-age craft forward. Russian Helicopters subsidiary Kamov showcased its Ka-52 Alligator attack helicopter at the airshow with an impressive aerobatic display. Variants have been fielded since 1996, and Russia plans to fly a naval model from its Mistral Class amphibious assault ships. Not to be upstaged, Eurocopter demonstrated its EC 665 Tigre attack helicopter, flown by the armies of France, Germany, Spain and Australia, and Sikorsky brought its S-70i Black Hawk, one of the few US rotorcraft present, keen to seal international orders. Few UAS would win a beauty pageant, but the P.1HH HammerHead demonstrator aircraft unveiled at Paris by Selex ES subsidiary Piaggio Aero wouldn’t even make the stage. Looking like an Airfix kit with half the airframe glued on backwards, its wing-nosed shape belies its credentials in the medium altitude, long endurance (MALE) category. "Also displaying agility beyond its strength and size was Russia’s multirole fighter, the Sukhoi Su-35." Designed and built in less than one year, the maritime surveillance UAS, the largest in Europe, has already successfully completed low speed taxi tests and shown its ability to work the Selex ES SkyISTAR Mission Management system. Cassidian was promoting its TANAN 300 new-generation diesel-powered compact VTOL Tactical UAS for maritime and land missions, with an impressive 180km range and eight-hour flight time with a 50kg payload. It also introduced its new Future European MALE UAS project for ISTAR missions, part of a call for continent-wide engagement in novel systems, and launched its stealth UAS research programme SAGITTA. As UAS increase in sophistication, the unit cost means they are far too valuable to lose to enemy fire. Elbit extended its MUSIC family of aircraft Directional Infra-Red Countermeasure (DIRCM) with the launch of its new mini-MUSIC system. Designed to protect all types of rotary and fixed-wing aircraft against heat seeking Ground to Air Missiles (MANPADS) in a UAS-friendly small package, mini-MUSIC detects incoming threats via a missile warning system, passes the signal back to the DIRCM, which acquires and tracks the threat, then fires a powerful laser beam to deflect the missile from the UAS. The European Defence Agency has in the past been considered a bit of a Cinderella organisation, a nice-to-have defence cooperation body rumbling in the background while each member state got on with its own procurement. But with budgets slashed, its concept of pooling and sharing are causing ministries of defence and manufacturers alike to sit up and take notice. The Paris Air Show presented the ideal platform to set out plans for the airspace over the shared borders of the continent, where UAS will increasingly fly alongside civil and military aircraft. 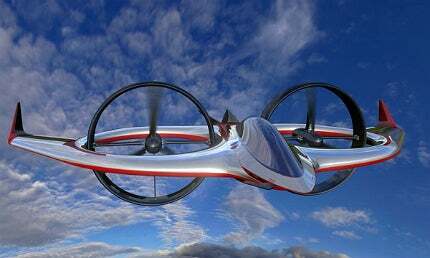 "AgustaWestland’s all-electric Project Zero tiltrotor certainly has revolutionary potential." Over the course of the air show, the European Organisation for the Safety of Air Navigation (EUROCONTROL) and the EDA set out a joint list of key priorities for the implementation of the Single European Sky (SES) in the military aviation sector. Areas of action for SES, which provides a legislative framework to meet future airspace safety, capacity and efficiency needs, include remotely piloted aircraft systems, coordination of Single European Sky ATM Research Programme (SESAR) deployment and satellite telecommunications. The European Aviation Safety Agency (EASA) and EDA also agreed to strengthen civil-military cooperation in aviation safety with a focus on harmonising military aviation safety requirements with a primary focus on airworthiness. For dual-purpose aircraft like the A400M, this will mean that civil certification can serve as a baseline for subsequent military certification by the respective national Military Airworthiness Authorities. The agreement also covered safe operation of Remotely Piloted Aircraft Systems (RPAS), which will in part be managed by EDA projects on air traffic insertion (DeSIRE) and mid-air collision avoidance (MIDCAS). With its focus on civil aircraft and minimal US presence, the Paris Air Show this year served as a mid-year technology update for military customers and an aerobatic showcase to nudge aircraft to the top of international shortlists. Increasing collaboration and legislation on sharing airspace could help Europe stay at the very forefront of airborne military technology. Over the years BAE Systems has produced many of the most iconic and game changing defence technologies but not all have made it past the drawing board. Despite a series of setbacks and controversies, Airbus’s A400M airlifter finally looks like delivering on its initial premise, as deliveries and operational certification edges closer.